The world of Dreams: July favorites~!! 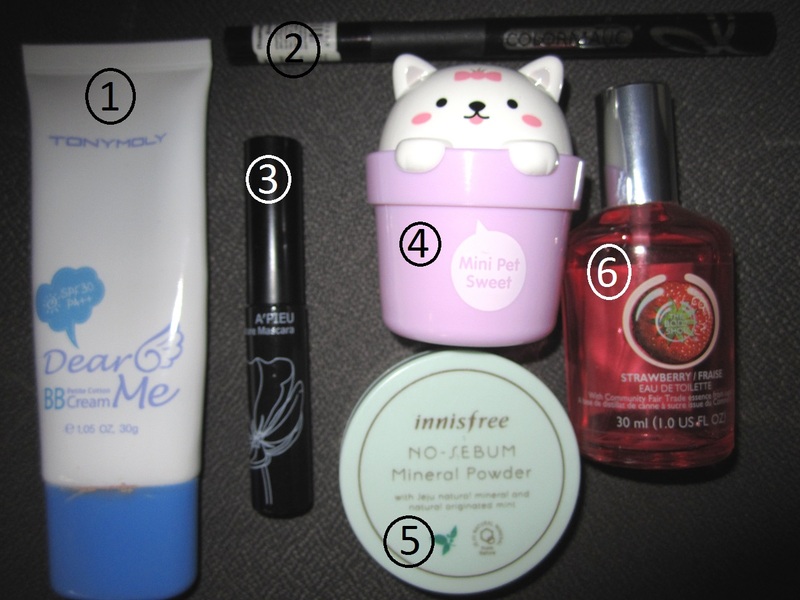 Anyway, as a 1st entry for August I want to share my favorite products of July. 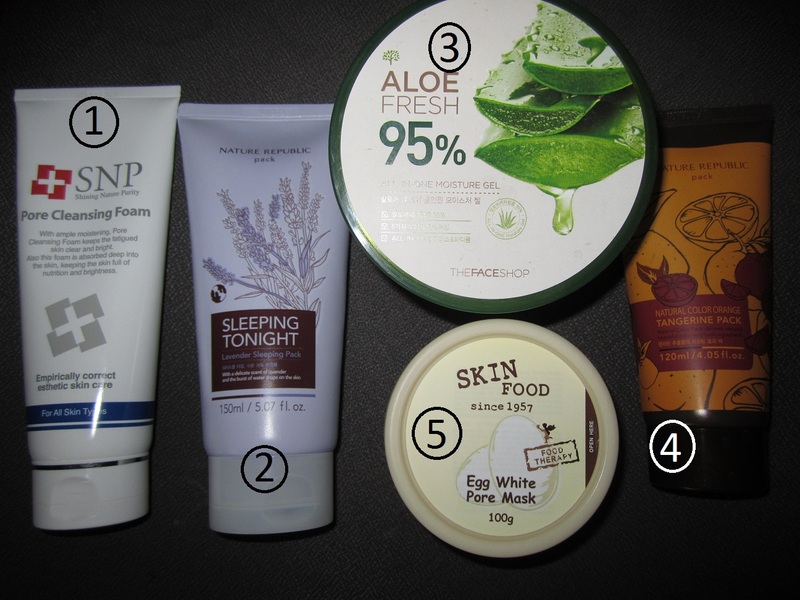 This is my very first time writing such issue, but I think from now on i will do it every month.. maybe~ haha I don`t know yet, because I am sure i am going to use the same products in this month too *actually I am already doing it ;p*. How my "favorites" will look like? I am planning to post a picture with a description of the products and a few words comment of my impression of it *prepare for "omgosh i love it so much!!!" ahaha*. 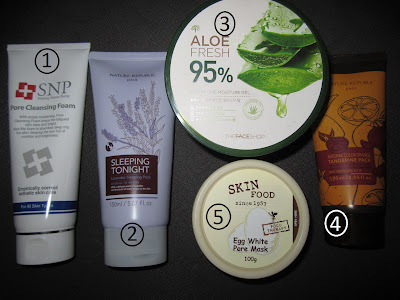 The Face Shop Aloe fresh 95% all-in-one moisture gel 500 (!!) ml - great as a body lotion or a light gel for face. Can be used even as a hair mask! Nature Republic Natural Color Tangerine pack (peel off) 120 ml - very good pack, makes my skin super soft. Tonymoly Dear Me Petite Cotton bb cream 30 g - really good bb cream which i use as a concealer, not for a whole face. A`PIEU Full of Nature mascara (black) - perfect volume mascara. The Face Shop Mini Pet Sweet hand cream 30 ml - very cute packaging with a good moisturizing hand cream in it. Innisfree No-Sebum Mineral powder - the best powder i have so far, small format, but I have been using it for months now. The Body Shop Strawberry eau de toilette 30 ml - i am addicted to this fresh yet sweet strawberry scent! I use it pretty much every day since March, and i still have 1\3 left ^^.